There are a number of key factors involved in office or corporate removals, and accounting for each of them is essential if you want your office relocation to go according to plan and schedule. If you don’t like to take any chances with your office moving requirements, then by all means get in touch with us and we will cover all bases, and get the job done right. First and foremost, proper office relocations require detailed planning. Although the process itself seems rather basic, the actual removal will require much more than just unplugging your computers and chucking them in the back of the van. Our qualified logistics experts will visit you in advance of the actual removal and assist you with the planning and organisational stages, as these are usually the make or break aspects of the removal. We would like you to provide us with detailed information about specific requirements you may have, or any additional considerations or precautions we need to take in order to complete the removal successfully. The more information we have, the better as we will be able to organise and carry out the relocation according to your needs and requirements. Next key factor concerning office removals is proper timing and scheduling. Obviously, you cannot shut down your business for a week in order to have the office moved to another location, as this would mean heaps of lost profits and unhappy customers. We also understand and appreciate this, and our removal experts will coordinate the actual relocation with your business hours, current work load, and will schedule the work for weekends, off peak business hours or any other suitable time of day or night. We are known to offer the most reasonably priced office removals in Barbican, EC1. We form our moving rates by taking into consideration the unique parameters of each moving project for which we are contacted. We have chosen a flexible pricing method because it allows us to easily accommodate the budgets of our clients and more importantly to maintain the finest quality/price ratio in the area. You can see in advance how much our Barbican commercial moving services will cost you, by giving us a call and requesting your free and final quotation. Last but not least, avoiding damage to items being moved and safe, efficient transportation is crucial for our customers. Because of this, Barbican Office Removals employs and works with qualified, professional movers who have the required practical skills and industry experience to expertly deal with all aspects of the relocation process. The company owns and maintains a sufficient number of well-maintained transport vehicles of different payload capacity. Our man and van company operates throughout the district of Barbican, EC1. 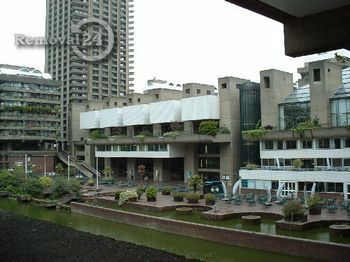 The area is home to the Barbican Centre which is one of the largest entertainments venues in Britain and Europe. It was opened in 1982 and has three performance halls with a combined capacity of 3.299 spectators. The centre is renowned for its brutalist architecture and is classified as a Grade II edifice.